Gaza Strip - A member of the al-Qassam Brigades, Hamas’ military wing, was killed on Saturday after an accident occurred in one of the Islamist organization’s tunnels in the Gaza Strip. According to Maan news, the group confirmed the identity of the man as Anwar Faraj al-Ghalban, 23, from Khan Younis, but refrained from revealing the circumstances of the accident, stating only that their members were doing their best to build more tunnels and make preparations for the group’s next confrontation with Israel. 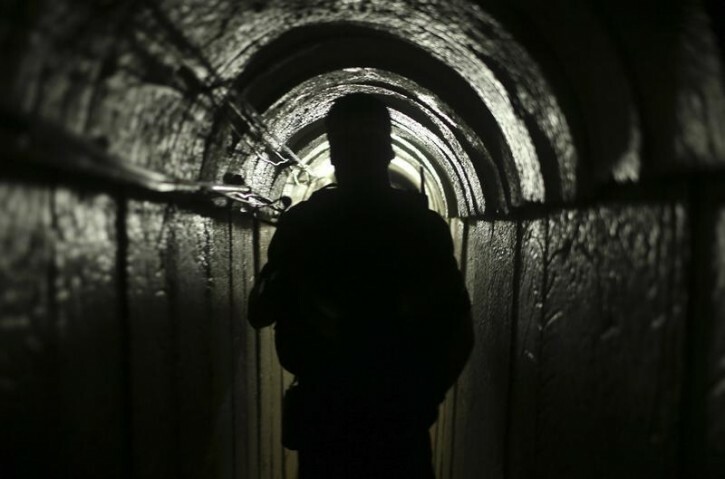 Hamas’ tunnels, which serves both as smuggling routes of non-lethal contraband as well as weapons and weapon materials, have been vital to the Islamist organization’s nearly decade long rule of the coastal Palestinian enclave, from which it ousted rivals Fatah in a bloody civil war after winning elections in 2006. There have been numerous reports of tunnel collapses as well as other accidents, with an estimated 160 children dead from tunnel-building activity since 2012, according to a report published by the Journal of Palestine Studies, whose figures were provided directly by Hamas personnel. According to a 2014 film, “Gaza Tunnels,” the total figure is much higher. The documentary, which follows the lives and work of some 7,000 of Hamas subterranean workers, the body count is as high as 400. Israel maintains that the blockade it holds over Gaza is a preventative measure meant to deprive Hamas of means and materials to launch new attacks against Israeli civilians. Egypt, which during the rule of ousted Islamist President Muhammad Morsi eased its own blockade on Gaza’s southern flank, has since 2013 reimposed a sealed border policy meant to thwart the movement of fighters and weapons from the Strip to the Sinai peninsula, where Cairo is now fighting a bloody insurgency against Islamic State associated militants. 400 people killed by THEIR accounting, and mon-key moon is quiet, with nothing to say?? Never believe anything that the Arabs say. They only say things to throw us off. They probably killed him with torture and want others to believe he died in an accident.